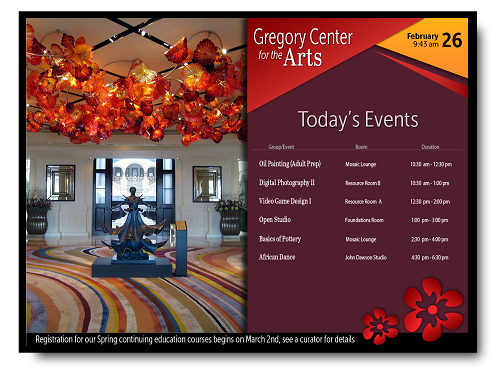 Enhance the visitor experience with innovative ITS digital display technology. Vibrant, high-definition displays are sure to capture engagement with your guests, while increasing efficiency and generating revenue at your location. ITS develops customized digital solutions to serve the unique needs of museums, galleries, and related businesses. Effortlessly guide visitors throughout your venue with digital building directories. Showcase special events and point attendees to their locations with ITS event & meeting displays. 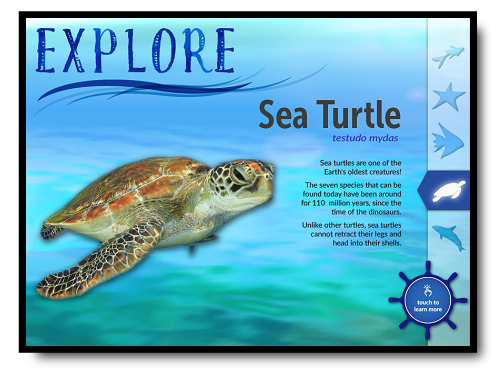 Modernize your facility with InfoBoard, using interactive display technology alongside your exhibits to further educate guests. Provide visitors the luxury and convenience of an all-in-one travel resource, including dining, retail, and lodging options, with virtual concierge. Showcase on-site restaurants, shops, and services, and increase your vendor sales. All of our digital display solutions are custom-built to meet the unique needs of each client location. Contact us today to discuss your application. The right resources in the right places. 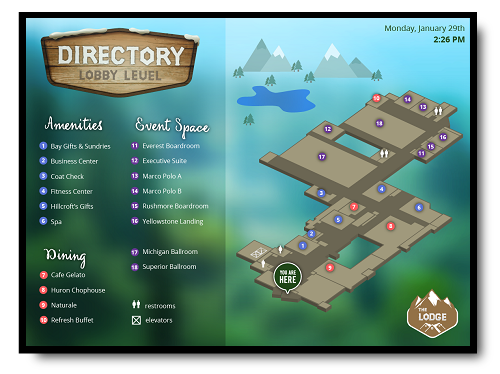 Building Directories allow guests to easily navigate throughout your venue and minimize inquiries at the same time, allowing staff to focus on other visitor needs. Indicate where exhibit tickets may be purchased and highlight points of interest for added convenience. Make it quick and convenient for attendees to find your special events. Event & Meeting Displays improve your operating efficiency by reducing guest inquires, allowing staff to concentrate on other visitor needs. Even incorporate a map of your location for additional benefits. 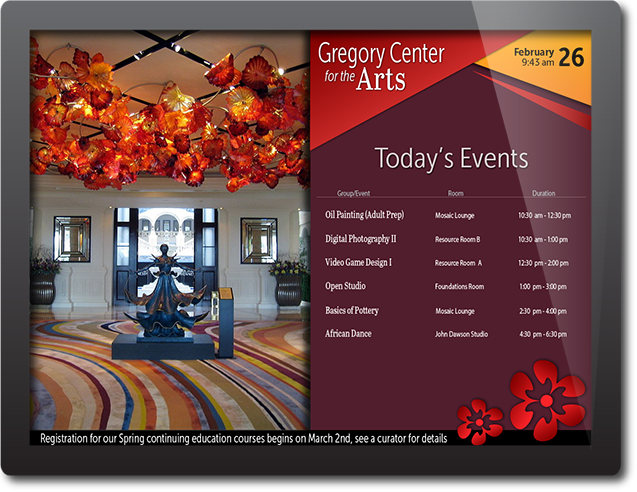 Allow guests to continue to learn and explore with InfoBoard, an interactive, educational display. Use InfoBoard alongside your exhibits, differentiating your venue and driving further visitor engagement. 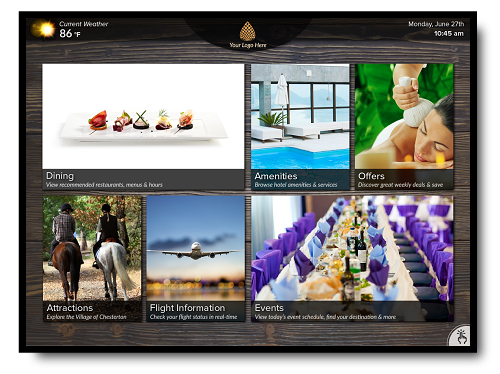 Virtual concierge is the all-in-one resource for visitors. Effortlessly guide guests throughout your venue with maps and event schedules. Highlight dining, retail, and service options. Provide weather forecasts and flight information for travelers. Even recommend lodging and transportation options all in this innovative, centralized solution.